New behaviour for text search and word frequency queries to display findings as Key Word In Context (KWIC) results. Adjust the definition to see the words in a narrow context (five words each side) through to a broad context (the surrounding paragraph). The introduction of an automatic ‘skip back’ function when transcribing audio or video files. Pause your file to transcribe a section, and NVivo automatically skips back by the timing you’ve specified when you press ‘play’ again. You’ll never miss that important insight or quote! The new ability to view your word frequency results as a ‘tag cloud’ allowing you to easily visualize the most frequently occurring words in your project. 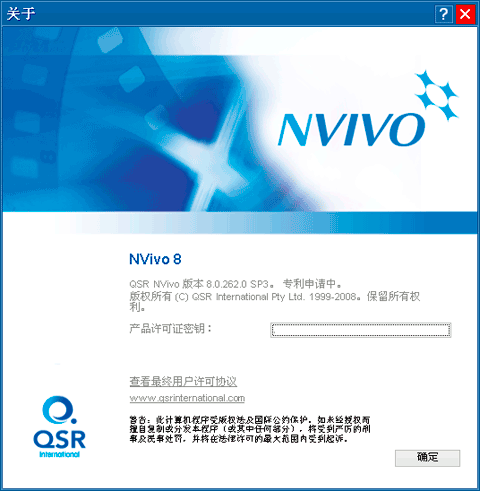 A new option to export your NVivo models directly in BMP (bitmap) or SVG (scaled vector graphics) format, allowing you to use them in reports, presentations or visual displays, including programs such as Microsoft PowerPoint, Microsoft Visio and Adobe Fireworks. Improvements when working with transcripts in NVivo, such as the ability to import a wider range of transcript formats and styles, giving you more flexibility. The new ability to import a picture log created outside NVivo which contains notes or comments about the image. Improvements to streamline the uncoding process within a node, allowing you to uncode your material faster. The new capability to remove user profiles from an NVivo project, giving you more flexibility when managing the members of your team. The ability to convert and work with projects developed in ATLAS.ti 5.2 and 5.5, and MAXQDA 2007.